Why is it difficult to catch Post-spawn bass? 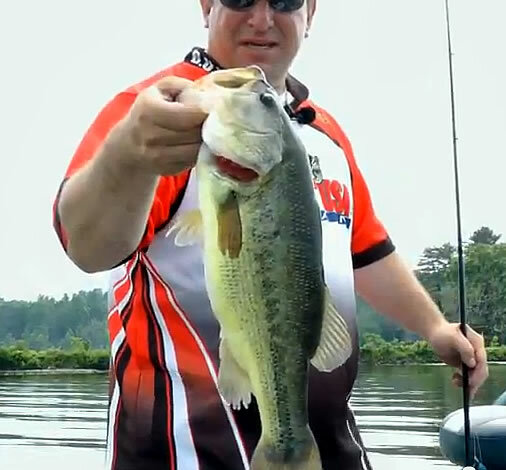 Basically, after the spawn, bass are recovering and are often lethargic. Both females and males have been guarding beds persistently. Once the female is done, she will most likely head for deeper water to recover, while the male hangs around protecting the eggs. At this point the male is ferociously attacking any and all threats to exhaustion. Once the eggs hatch, the males will continue to stay with the tiny bass (called “fry”) until they reach about 1 inch or so in length. The whole process can take several weeks and is very demanding on both the male and female bass. Typically, female bass enter the post spawn stage while male bass are still guarding the nest, and ultimately the fry. During this time the larger female bass just don’t feed that much. They are focused on rest and recovery from the act of spawning. When they do feed, they will feed on the easiest bait for them to catch. This means you need to slow down your presentation. In shallow water lakes and ponds females will gravitate towards heavy cover, thick vegetation and deeper water. Some females can be found hanging around blue gill/sunfish beds. Check any cover adjacent to nesting sunfish for lurking post spawn females. One of my personal favorite presentations is rigging a light 3/16 oz jig with a bulky trailer. A black blue jig with a green pumpkin/orange trailer. I like to use colors that match the colors of a blue gill/pumpkinseed. A little orange coloring goes a long way this time of year. Make long casts fanning the flat and drag the jig back. If there is cover nearby, make several casts to the cover and be sure to get into the thickest part. 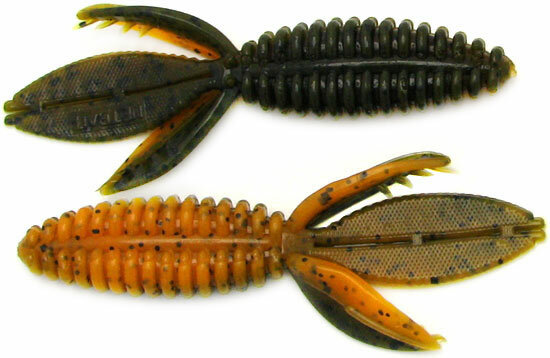 Slow down, allow your jig to sit still for a few seconds between movements. You want to make your jig an easy target. On reservoirs and impoundments, I like to searching for cover just outside bedding areas first and then look for the migration paths that head back out into deeper water. If your hoping to catch a post spawn female, you need to slow down, which is not always easy when the bite is slow. weightless soft plastic lures like a Fluke, floating Worm, Slug-Go or Senko around the fry; allow it to sit still and then occasionally twitch the lure. Male bass guarding fry can’t stand this presentation and will generally attack as soon as the lure makes contact with the ball of fry. Many times you will see the fry but not the male guarding them. They like to lurk underneath the balls of fry, so make repeated casts to any fry you see. Cover is king for fry, so they are going to be hanging around weeds, lily pads, and even brush. Basically anything that can offer the fry protection from predators. The post-spawn can last up to about 3 or 4 weeks, unfortunately, and can be frustrating for anglers. The good news is that once that’s over, you will start finding the aggressive bass schooling up and gravitating towards weed edges and points chasing schools of baitfish. This is when the top-water fishing explodes. Baits, such as poppers, frogs, walkers and spooks are very popular and produce some big results. 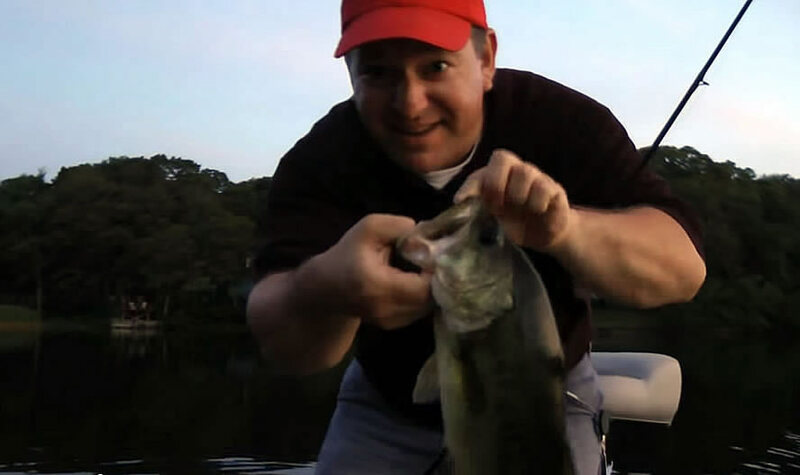 The nice part about top water fishing is that you can cover a lot of water quickly… and let’s face it, nothing beats seeing a bass exploding on a surface lure! Although mild in nature compared to last years scorcher, summertime is upon us here in North Central Texas. We have yet to see the thermometer blast through the 100-degree mark, even though it has been close a time or two. The days are long and hot, but the fish don’t seem to mind too much. Several local anglers continue to catch fish, despite the uncomfortable summertime conditions.